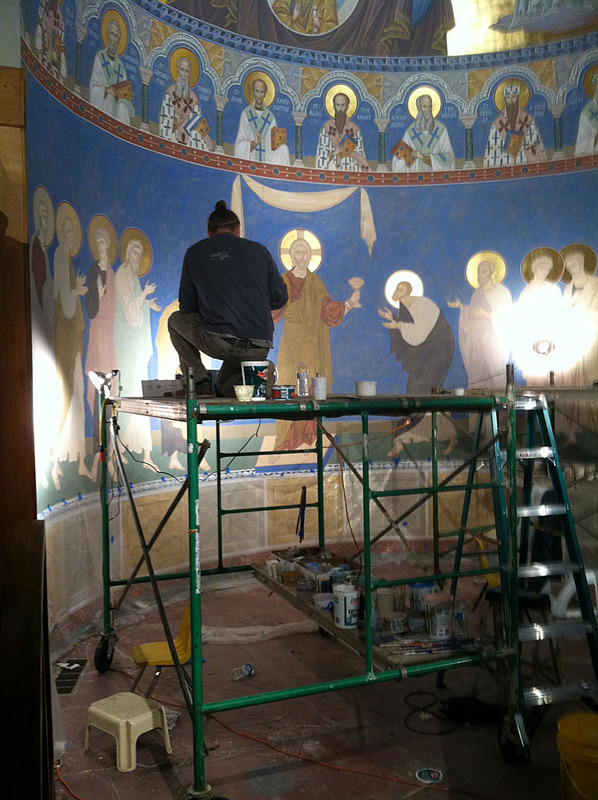 2012: Based on parishioner request, the St. Mark parish council began looking into iconographers to paint the bare white walls of the altar. 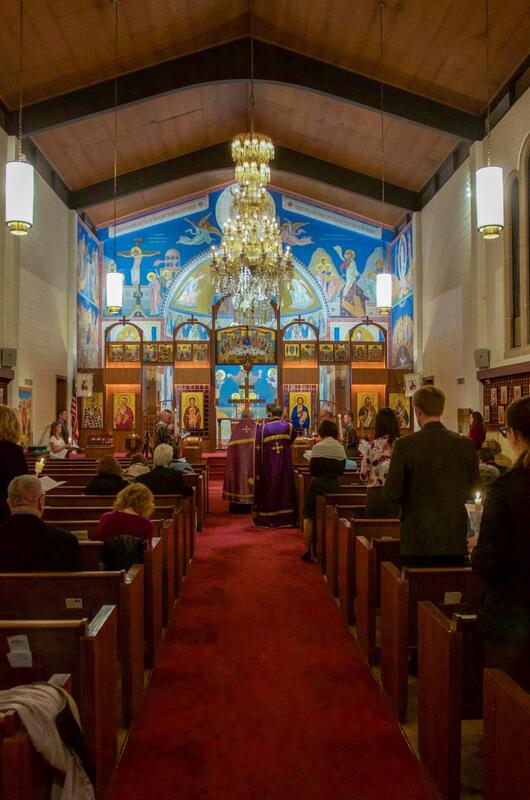 Iconographer, Dmitry Shkolnik attended our Parish Annual Meeting in October, and made some rough sketches of what iconography in our apse could look like. 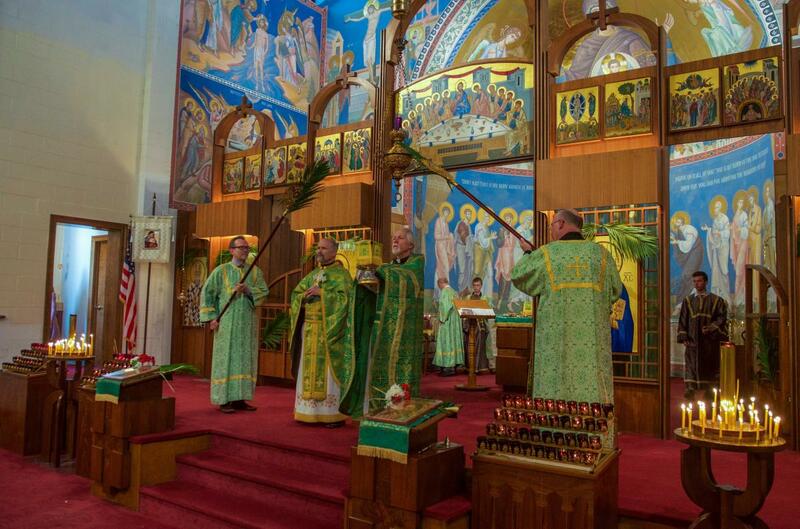 Dmitry also provided the parish with an estimated cost. 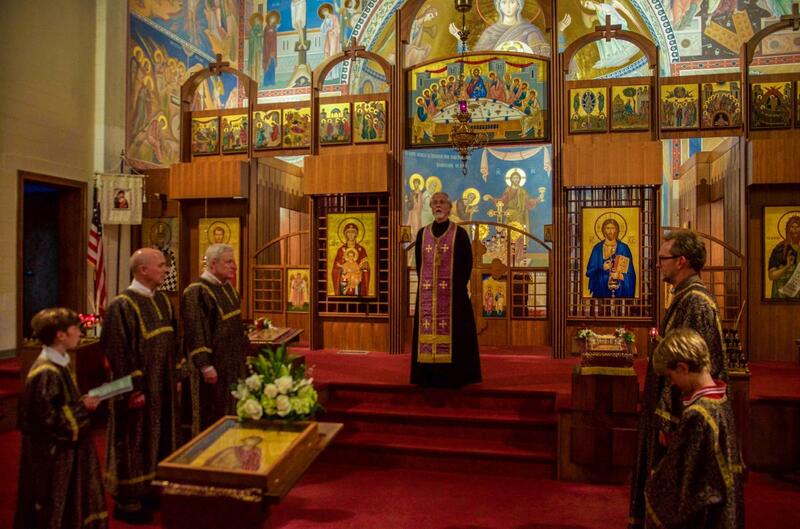 2013: An Icon Committee formed at St. Mark. 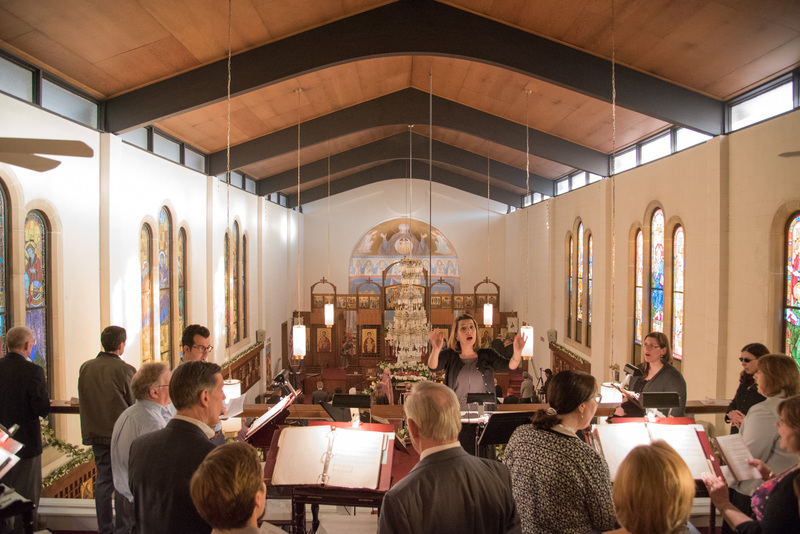 At that year’s Annual meeting, Dmitry Shkolnik was approved by the parish to carry out the work in the sanctuary. 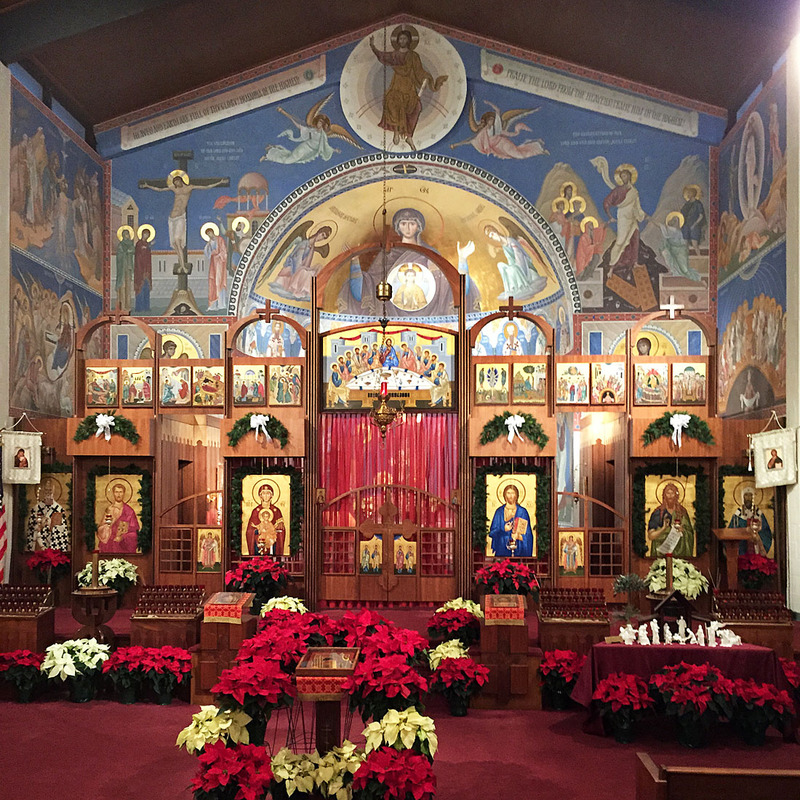 The Committee reviewed work from various iconographers but came to the conclusion that Dmitry Shkolnik was the best choice for St. Mark, based on examples of his work, his availability, and recommendations from parishes he has worked with previously. The Icon Committee began in earnest to research and educate itself, learning of the complexities of design, placement, and canonical correctness of icons. 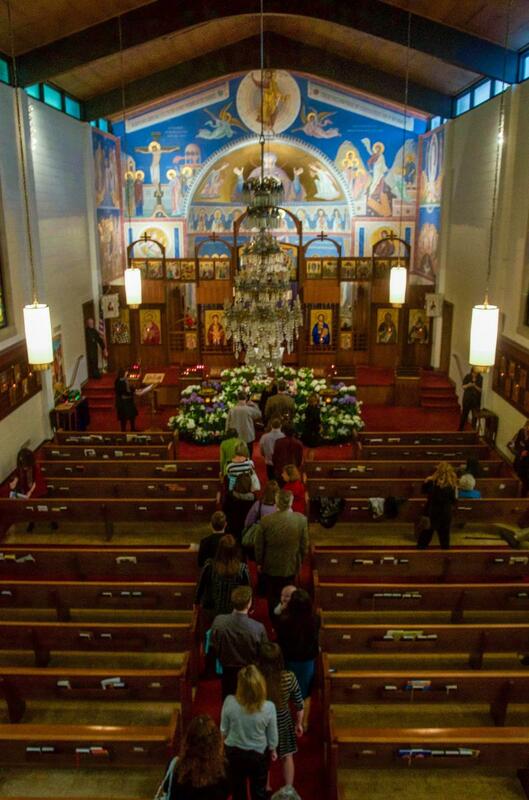 The Committee also reviewed many examples of apses and iconography from churches all over the world. 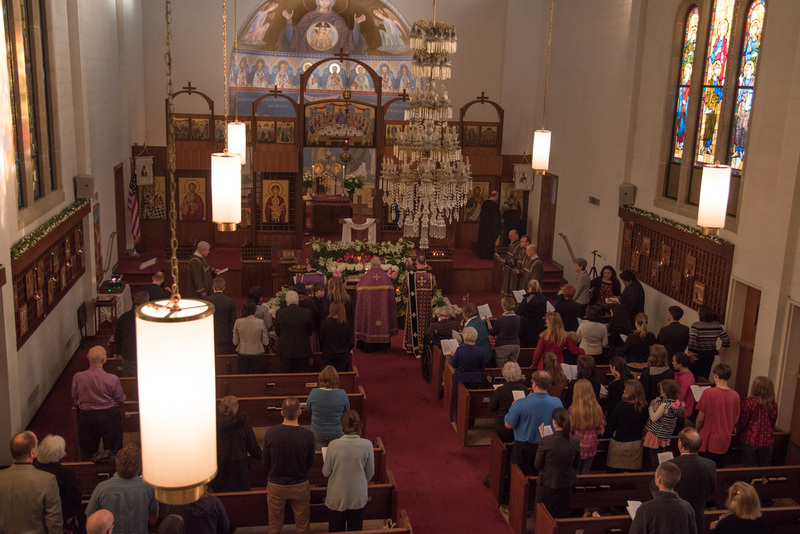 With each monthly or bi-monthly meeting held, and with contact with Dmitry showing him the Committee’s ideas, and modified sketches volleying back and forth, the Committee generated a first draft that was presented to the parish at the Annual meeting of that year. 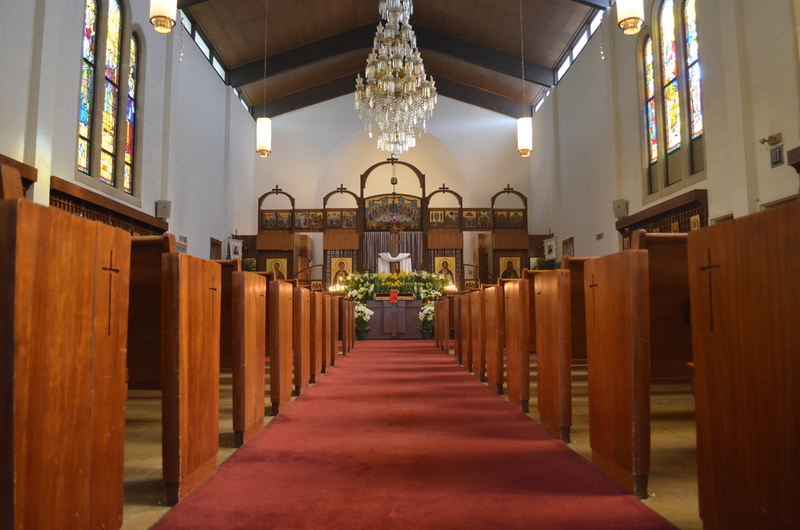 2014: A Special parish meeting was held and the Committee presented the parish with a final sketch proposal, asking for both parish and Bishop approval, before work was to begin. The initial plan was to complete the iconography only on the wall behind the altar, encompassing the apse and the triumphal walls on either side of the apse, however, the Committee decided to include the side sanctuary walls as well. To date, donations toward this project have exceeded the initial estimate. 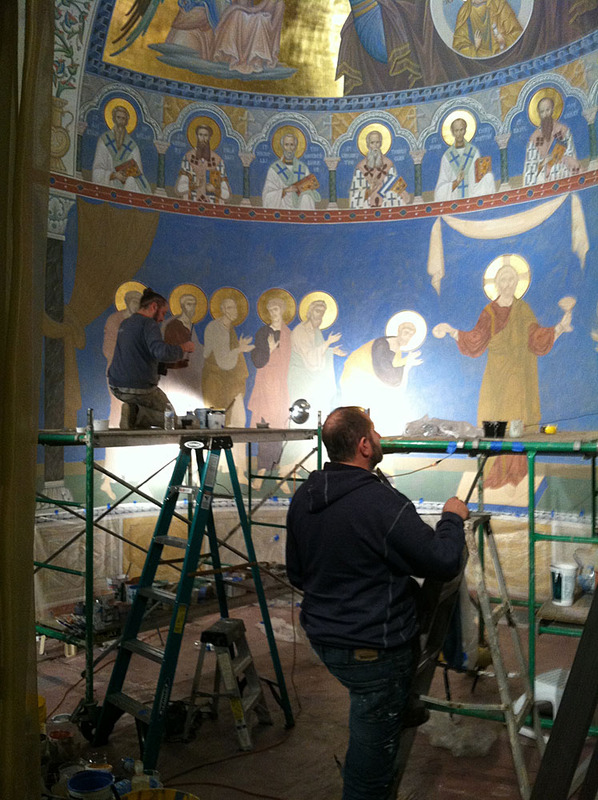 With approvals obtained from both the parish and Bishop, our iconography project was ready to begin. The iconography team (Dmitry Shkolnik, Alexey Vronskiy, Alexander Chernyy, and Alexander Mchedlishvily) arrived on Wednesday, October 15th to begin work on the first phase of our sanctuary iconography project. 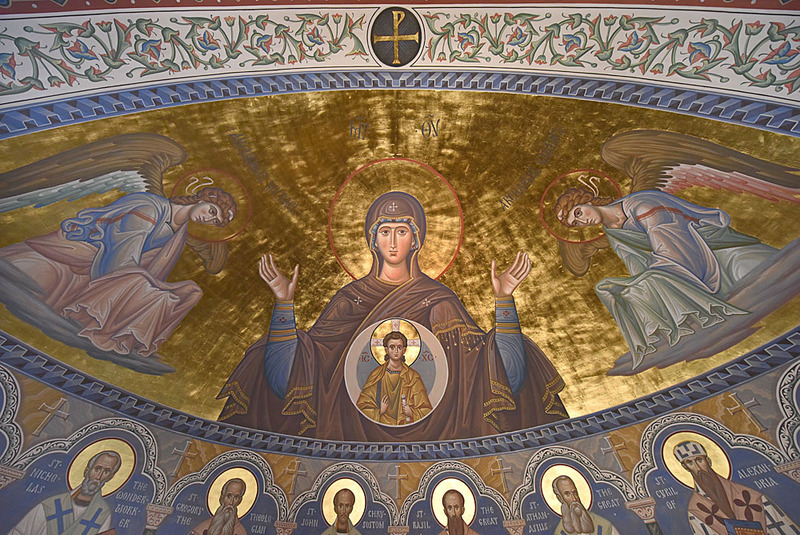 After four weeks of work, the apse itself was completed with the Platytera, Liturgical Hierarchs, and Communion of the Apostles (see photos). 2015: Phase two of the project will be a combination of canvas murals (to be painted in Dmitry Shkolnik’s studio beginning in March 2015) with their installation and the painting of remaining icons on our walls scheduled to begin in October 2015. Thank you all for your prayers and ongoing financial support towards this project.